"Cleaning service you can rely on"
SMV Cleaning is a professional cleaning service based out of Florida. 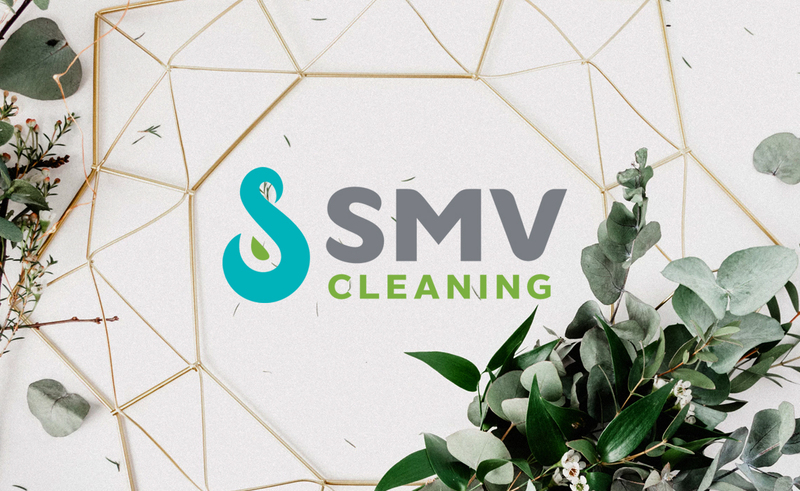 Started by Sandra Villada, SMV is a Cleaning and Maintenance service who offers cleaning for rental community move in and move outs. In addition, SMV provides cleaning services for commercial buildings and offices. Another key service they offer is the provision of house keepers for buildings. The company contacted our NY Branding and logo design for a new brand image through the means of logo design. Already established, they were interested in having SMV become a brand of it’s own, with the prospect of expanding their line of services in the future. The new logo had to be dependable, progressive, strong, unique and beautiful. In addition, the logo had to accurately reflect the company while being progressive. An idea of interest to SMW was seeing the logo reflected as a monogram. The end logo design, as shown above, showcases the final product. It is a combination of a monogram version of the letter S, represented as a swan, which is a symbol of beauty and purity. The end colors are sharp and cool tones, to convey the image of clean and modern.